The Featured Content Addon for Envira Gallery allows you to easily create galleries from any category or tag on any post type in WordPress! 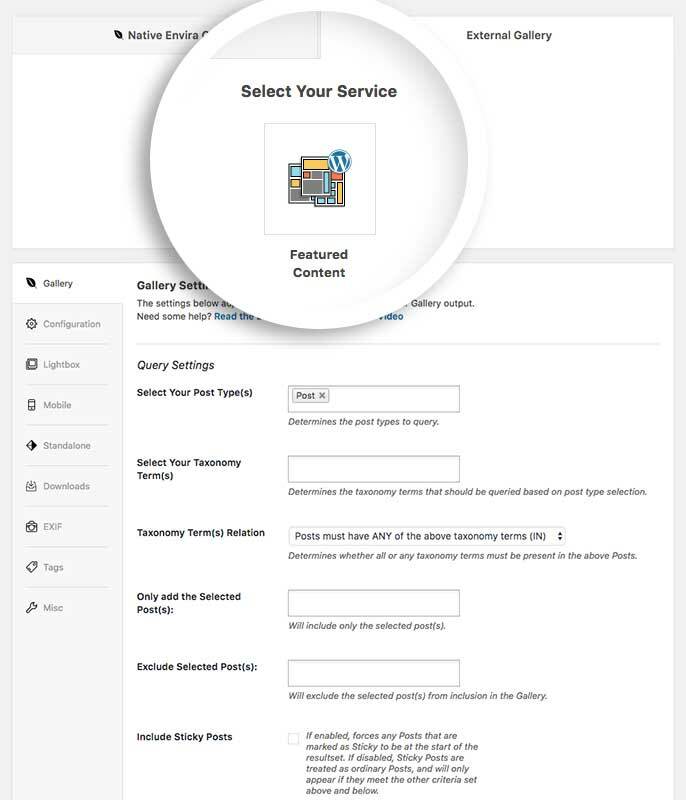 We’ll walk you through how to set up a Featured Content gallery! Why aren’t any of my images showing? I don’t see a title or text under my image? How can I display more than 5 posts? In this instance, you’ll be activating the Envira Featured Content Addon. Your first step is to create a new gallery. You can easily do this by clicking the Add New link under Envira Gallery from the WordPress admin. Next, click the External Gallery tab from inside the Envira Gallery and select the Featured Content icon. On the Gallery tab you’ll see a list of options to choose from to set up your gallery. Don’t be intimidated by the list of options there. Simply choose the post type, taxonomy terms (your categories and tags), how many posts you want to show and if you’d like to link the title to the post (as well as the image) and any content from the post. 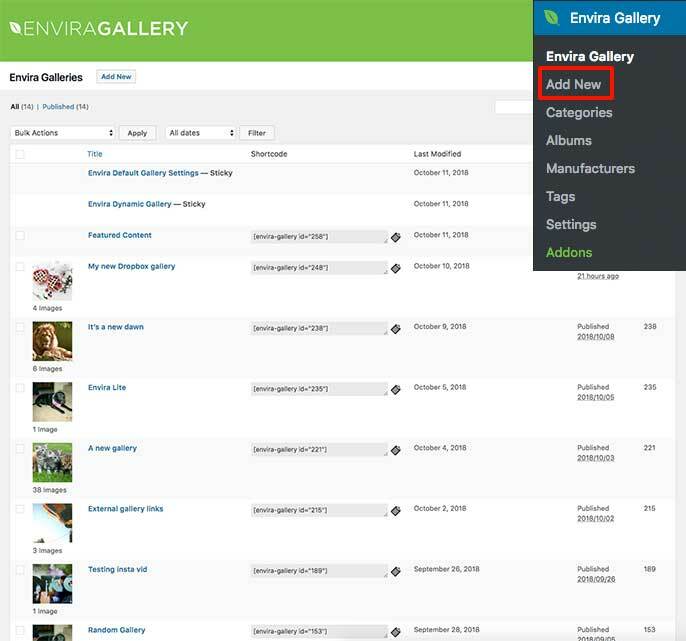 Would you like to see what other types of galleries you can create with Envira? Check out our article on How to Add Animated GIFs to Your Gallery. Q: Why aren’t any of my images showing? A: Edit your posts to make sure you’ve set a featured image. Envira will use the featured image of the post type first before checking for a fallback image from the gallery settings. If you’re not using featured images, just edit the gallery and set a Fallback Image URL setting from the Gallery tab. Q: I don’t see a title or text under my image? 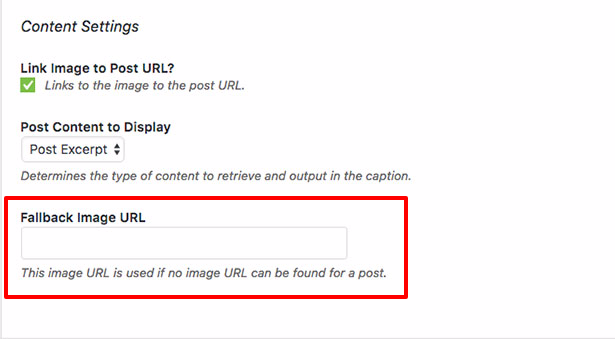 A: You’ll need to make sure you’ve enabled the title and caption to show on your gallery if you’re wanting to display any post titles or post content. 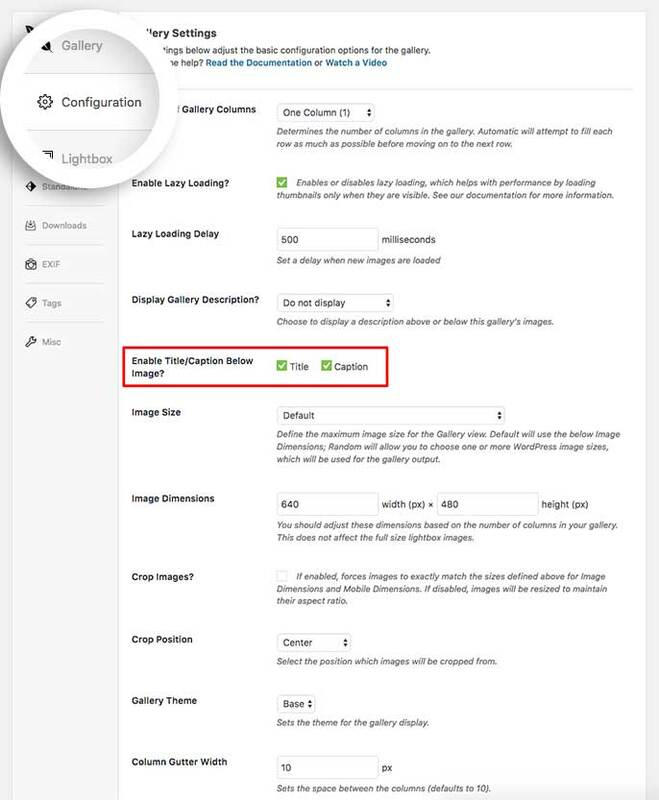 Simply edit your gallery and go to the Configuration tab. Click the Enable the Caption by selecting the checkbox next to Caption and click Update to save the changes. 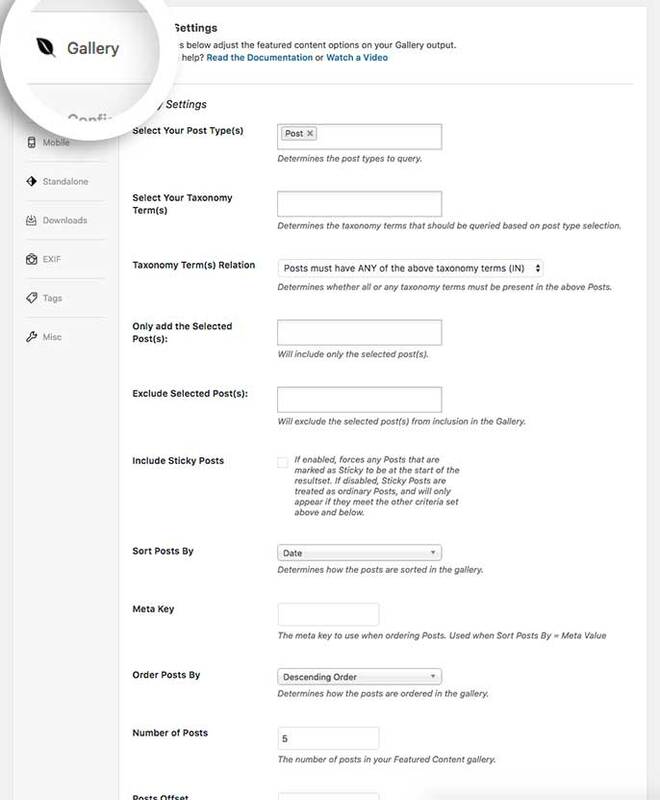 Envira will use the caption field to output any content from your posts. If the Caption is enabled on the gallery, please edit your post(s) and make sure you have entered your excerpt into the excerpt field of the post. 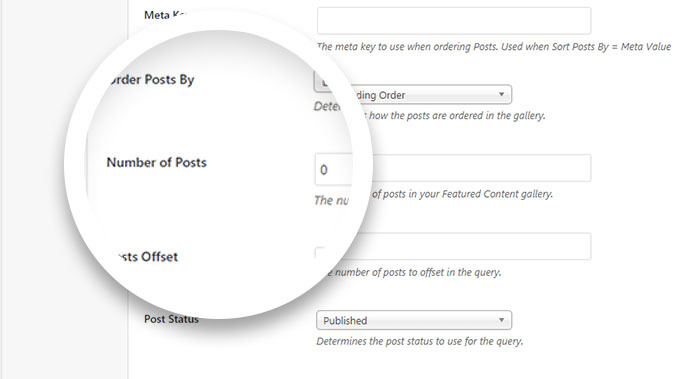 The Excerpt field will be directly under your main content area when creating your posts. If you don’t see the Excerpt field, click the Screen Options from the top right corner while you are editing a post and select Excerpt. When you click Screen Options again, the pull down menu will close and you will now see the Excerpt field. Q: How can I display more than 5 posts? A: Check the Number of Posts setting in the Gallery tab of the gallery. Update the field to set the number of posts you want to display. If the count is set at 0, Envira will only display the latest 5 posts. Check the Lightbox tab and Mobile tab of the gallery. 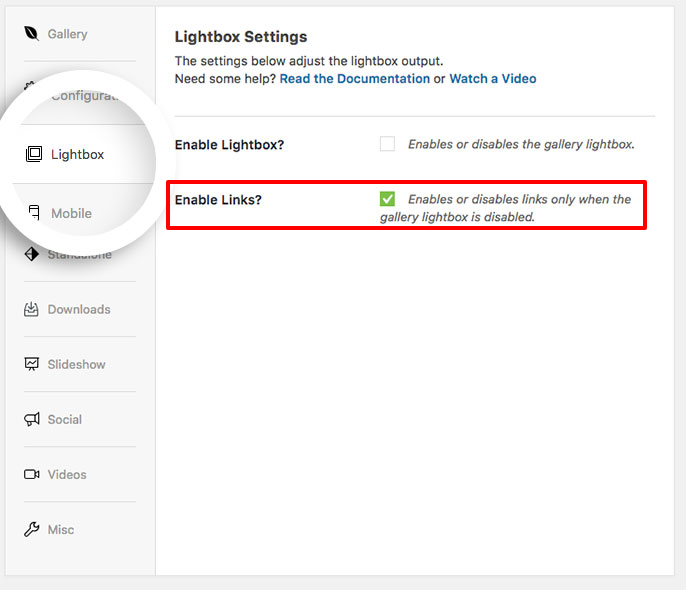 Disable the Enable Lightbox? and check to enable the Enable Links? instead. Fix: Cases where FC prevents lightbox from loading. Fixed: Post links no longer working.